I have this argument with my brother sometimes. He’s a proper musician you see, and I’m not. He’s actually quite good at his chosen instrument (drums, as it happens), whereas I, typical dilettante critic, am more of a bluffer in that regard. I’m more from the ‘make it make noise’ school of playing. I used to feel differently, but these days I have no interest in a career in music. I prefer to work by myself and if anything comes of it, all well and good. My brother wants to be a session musician, or at least on that level. Versatility, consistency; these are the cornerstones of his practice, which is more than fair enough. Our argument is really about the nature of the impulse to make music, and whether the focus on a “career” might have some negative - or at least limiting - impact on one’s creative desires, the avenues one might end up going down. It’s not like there are answers but we rehash it once or twice a year anyway. Earlier this year I watched a pair of films, quite unrelated to each other, and they reminded me of this argument of ours. The first was Pawel Pawlekowski’s Ida, which, for whatever it's worth, won Best Foreign Language Film at the Oscars this year. It’s set in Poland in the sixties. Shot in black and white, with an old-school Academy aspect ratio, it’s about Anna, a young would-be nun who is told to meet her only living relative, an aunt, before taking her vows of chastity, poverty and all the rest. The aunt, Wanda, is an alcoholic former state prosecutor who tells Anna she’s really a Jew, and together they go on a mission to find out where the bodies of Anna’s parents, who disappeared during World War Two, are buried. It’s a short movie, slow too, and even now a few months after I first watched it, I feel it's one of the most beautiful films I've ever seen. There’s just so much space in it. The second film was Whiplash, directed by Damien Chazelle and starring J.K. Simmons. It’s about Andrew Neimann, played by Miles Teller, a young drummer who enrols in a prestigious music school with dreams of being the next Buddy Rich. Simmons is Fletcher, his teacher and megalomaniac overlord. 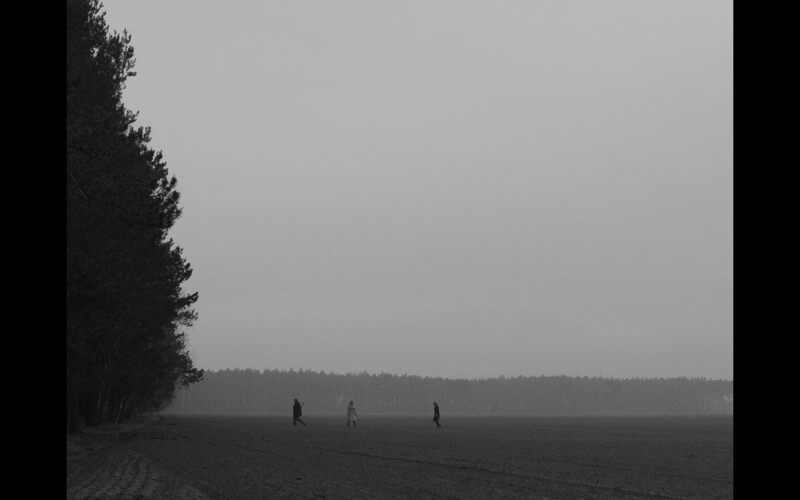 The filming itself is the opposite to Ida, being sharp and modern, and extremely claustrophobic. 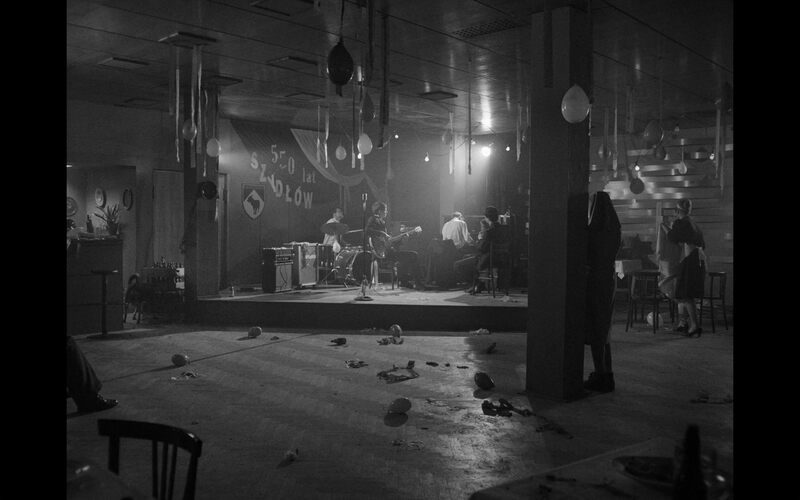 There’s barely any air in the film at all, never mind natural light; all rehearsal rooms or near-empty concert halls. It’s about being the greatest musician in the world, or at least playing the drums really fast and getting blisters on your hands in the hope of being the greatest musician in the world. The thing that drew them together for me was the appearance in Ida of a languorous jazz band, playing in a hotel somewhere in Poland. Our main focus is Lis, the young and handsome alto sax player. The band play Coltrane just as well as they play jives for people to dance and get drunk to. They seem casual with their cheap suits and thin cigarettes. They’re on the road constantly, moving nonchalantly from one gig to the next - Lis is first introduced as a hitchhiker. On one level, they are the opposite to Anna’s convent upbringing. They’re glamorous and loose. They exist in a world of basement clubs and alcohol, watching others get drunk and getting drunk themselves, losing themselves in something more magical than even they can understand. Music plays a strange role in Ida. There is almost no background music in the film; everything (except for one piece) is played on screen by the band or through a record player. Given how quiet and composed the rest of the film is, the presence of music serves to imbue each scene with a sense of danger almost, or at least a heightened sensitivity. Wanda’s classical LPs burst out of her record player, shattering the awful silence of her hangovers and eventually overpowering her at her death. Or maybe that should be “empowering”. It’s almost like the music enables her death, or her ability to go through with it. It adds a false patina of grandeur to the act of suicide, making it no less pitiable in the eyes of the audience, but perhaps more acceptable for the departed herself. There’s a suicide in Whiplash too, but it takes place off-screen, with a character we never meet. Again, it’s somewhat opposite to Ida. Here, it’s a musician but there’s no music involved. As far as we’re concerned, the act takes place in complete silence, in a void. Just as there is no grandeur to it, there is also no pity involved. It’s an instrumental death, meant only to lend a certain edge to proceedings for the characters we are supposed to be caring about. The central lesson in Whiplash is that one should not be discouraged from one’s dreams, no matter what. Keep pushing. One of the most damning elements of the film is the way in which this suicide ends up being cast as a personal admission of defeat by someone not strong enough to maintain, to persevere. Someone who couldn’t keep pushing. They were discouraged, and those who lack courage are cowards, and weak, and the weak kill themselves. It’s not a pleasant train of thought. Compare this to Wanda, whose death comes about as a result of a certain closure in her life. She has buried the remains of her dead son, she’s reunited and reconciled with her niece, and she has nothing left to live for. Better to end things now than to wait for the drinking or some ill-chosen lover to do it for her. There is agency in her decision at least, backed up and strengthened by the music. There is however a sense that her suicide derives from her inability to connect with the spiritual aspects of life represented by the younger characters in the film, the freedom they feel and the consolation they find in their lives. Unlike them, she lived through the war and the slaughter of her people, she lived through the purges and saw first-hand the consolidation of Stalinist power in the post-war years. She’s witnessed the process of forgetting. She’s condemned men to die, and cannot forget. She has felt the dead weight of history on her shoulders in a way the others cannot understand. To those living in the shadow of those times, God, wherever such a figure might appear, is most certainly dead and life, even lived at full pelt, is barbarous. The reawakening of spirituality that takes place in Ida is a precursor to the more general hippie awakenings of that decade. Ideas of transcendence and alternative religiousness would soon be sprouting out of just about everywhere, but Ida restrains the spirituality to just two major areas; music and the church. As much as they are presented as opposites in the film, they’re also equivalents. Both are spheres of transcendental possibility, ideas one can give oneself over to, completely. Indeed, it appears that the freedoms of each could not exist without the shackles of the other. They are reliant on each other for their hopes and dreams, their rebellions and their comforts. In this sense, music is no less spiritual than a life dedicated to God, merely differently so. And the life of God is nothing without the temptation of music, or that of the life it represents here. As Wanda says to Anna, ‘What sort of sacrifice are these vows of yours?’. To reach God, one must renounce the world, not merely ignore it. Something has to be given up. There’s fifty years between Anna’s Poland and Andrew’s New York. They feel even more than half a world and half a century away from each other, but jazz is their common link. 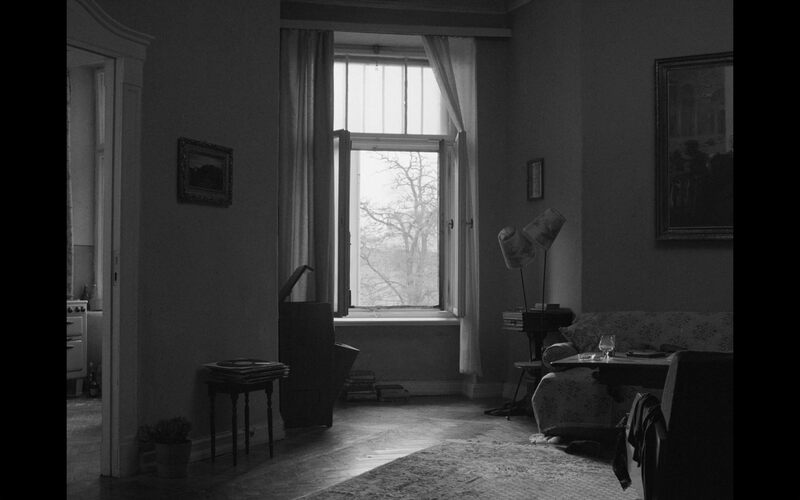 In Ida, it ripples with the possibilities of liberation - cultural, mental, physical. It’s not just a symbol of the freedoms of the modern world, but an embodiment of them. It enacts the revolutionary communal approach to culture-making that has defined the best of the post-war era, this sense of a gap in the world, waiting to be filled by anyone who wishes. Untethered now from the dogma of institutional religion or politics, the ephemerality of jazz - the jazz of Coltrane particularly: Ascension, Meditations, A Love Supreme - slips in, all fluid, and takes a sacred form. It’s not God, but it is a way of communicating with the same set of feelings. It’s not about the music business, but the collective offering up of sound, and all of life channelled through it. It’s less about the solo, and more about the group, a group that includes the moon-faced teenagers and drunken war veterans dancing out front. In Whiplash, we never even see the audience properly. There’s no sense of this music being a group effort, or offering. The music remains under the tyrannical hand of Fletcher, or the perhaps even more despotic egotism of Andrew. Jazz becomes a question of speed and power, a question of athletics. It’s a contest between two pathetic men, neither able to see beyond the public reward their music might bring them, like a war waged for glory and nothing else. Imagine the conclusion of Full Metal Jacket vindicated the American war in Vietnam. Imagine it had suggested that, after all they’d been through, the marines were now better men, or even among the best men in the world. This is close to what Whiplash achieves by its end, as an interminable drum solo is inserted into an already militant arrangement of Duke Ellington’s ‘Caravan’, and Fletcher and Andrew’s personal battle climaxes with a reconciliation that suggests both of them were right all along. It’s a disturbing ending because it is so lacking in sensitivity, so lacking in courage. The chance to undermine the joyless, loveless approach to music is passed up, and all we get is the braying triumph of the ego. Maybe I’m underestimating the film, maybe the audience isn’t supposed to go along with any of this, and maybe it’s just a particularly well-disguised criticism of the professional jazz world. I’m more inclined to think that this is just how things are these days. There’s no room for the spirit in such activities; the world is a ruthless place and we must be more ruthless than those around us to succeed in it. No fat on our bones; lean, professional, thick-skinned. Music, like sport, should be played by professionals and watched or simulated by everyone else. If you don’t succeed on these terms, it’s no one’s fault but your own. These are old complaints. Perhaps that’s why the end of Ida has stuck with me since. There’s just this deep sense of spirituality that envelopes everything on Anna’s last walk back to the convent. It’s not ignorant, it’s not dominant; it’s transcendent. Anna engages all the senses that had been shut off in the convent, and still chooses her God, understanding now what she’s giving up. Unlike Andrew’s Randian übermensch, both Anna and Lis can live with music, and the power of it, without turning it to their own ends. Anna and Lis are being worked upon by something bigger than themselves. It’s the spirit of music that illuminates them now, the feeling that there is something outside the human peabrain which is, in Simmel's words, both of us and more than us. Something which one cannot be the greatest at, which one cannot dominate or master, because such terms become useless here, dissipating in the face of a force we couldn’t possibly understand. Call it what you want; God, music, the subconscious - it hardly matters that much. What’s important is the acknowledgement of that “other”, the presence outside of the ego. The infinite, the love supreme. The only possible position is acceptance, submission. The only possible act is an offering, a gift. Anna offers herself - her whole and particular self - through prayer. Lis gives the same through music. Both are worthy.